Feel like a soccer pro playing games on our superb outdoor field! 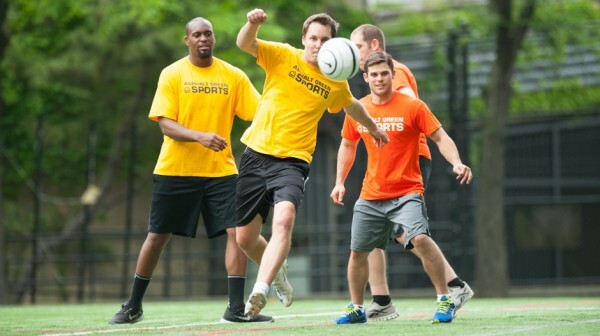 We offer a diverse range of soccer programs for children and recreational soccer leagues for adults. For children, we have instructional group classes, recreational leagues, private lessons and competitive teams. Our Upper East Side campus features a regulation FieldTurf soccer pitch marked for both full-sided and small-sided games. Learn more about our soccer programs below. 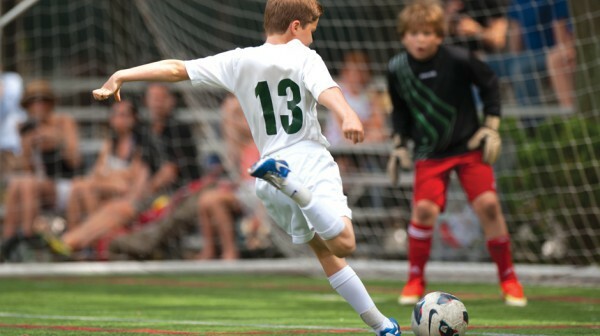 Our youth soccer program features classes, camps, recreational leagues and competitive teams. We have partnered with social sports league ZogSports to bring even more chances to hit the field—indoors and out—at Asphalt Green.